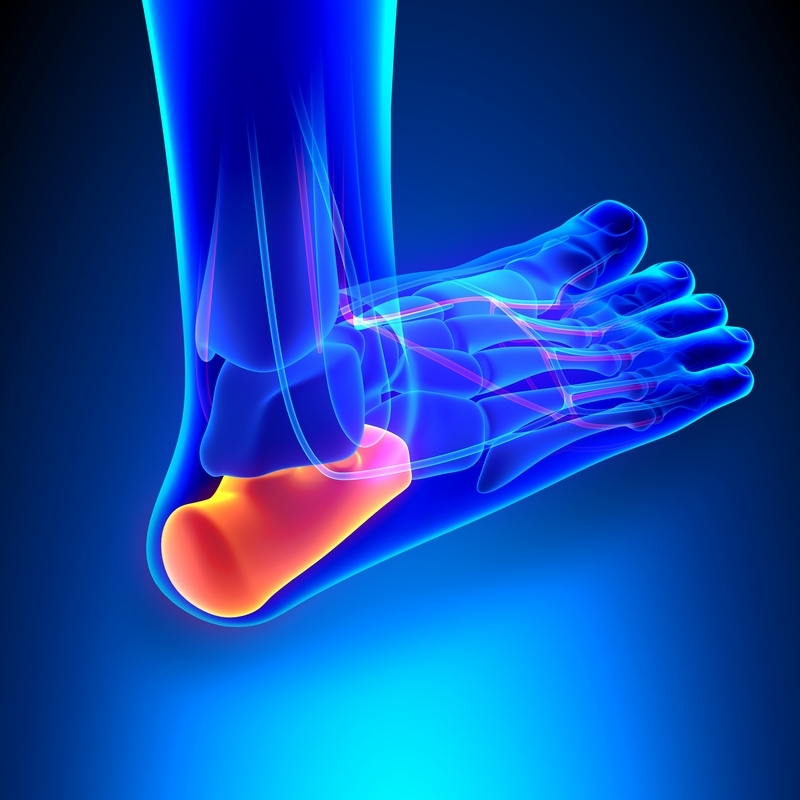 Plantar Fasciitis – Heel pain usually on the inside of the foot, which is normally worst first thing in the morning. After a few minutes it eases as the foot gets warmed up, but can get worse again during the day especially if walking a lot. Sometimes pain occurs on the outside of the heel, but this is often as a result of offloading the painful area on the inside. The plantar is the large band of muscle across the centre of your foot that links your toes to your heels. Pain here is usually at it worst first thing in the morning or when climbing stairs. There is no single cause of plantar fasciitis, but there may be a number of contributing factors such as age, weight and gender. If your work involves a lot of standing, for example, if you are a nurse, a teacher, or a factory worker, then you will be more likely to suffer from heel pain. Plantar fasciitis occurs more often in women than in men, and is most common in women aged 40-70, particularly if you are obese or overweight. Rest – If you are on your feet all day, the single best remedy you can offer yourself is rest. “Take the weight off your feet” . Laser Therapy – With its ability to reduce inflammation and ease pain, laser therapy achieves good results in the treatment of plantar fasciitis where it stimulates the fibroblasts for a faster regeneration of connective tissue structures in the tendon. Treatment generally involves direct application to the heel with an infra-red probe to be repeated every 2-3 days for 2-3 weeks. Find out more about laser therapy.